Appearing “OpenCandy Ads” on your Google Chrome, Mozilla Firefox and Internet Explorer browsers is a clear sign that this Open Candy adware has breached the security of your computer. However, by following the instructions of this removal guideline you will be able to remove OpenCandy browser hijacker from your computer permanently. What is OpenCandy? and how to remove it? How OpenCandy entered your computer? This adware would have gotten onto your computer after you would have installed a freeware which was bundled with this infection. The basic purpose of this adware is to replace your search page with OpenCandy website and use blackhat SEO techniques to inflate the ranking of this website for boosting advertising revenue. Although the changes made by this infection may seem irreversible, but you can undo them after you uninstall OpenCandy infection from your computer by following our removal methods. Why complete removal of OpenCandy necessary? Entries made by this infection on your computer are at multiple levels ranging from browser settings to registry files. Unless a removal technique completely removes all these entries from your computer this infection can reappear in future. However, when you get rid of OpenCandy infection by implementing our removal methods you make sure that this infection is completely removed from your system. What are symptoms of OpenCandy infection? This adware can be identified by these symptoms: Pop-up ads are interrupting your web browsing sessions. Your search queries are being redirected to an unknown search engine. Malicious web links are added to web pages for increasing page ranking of a website. How to protect from OpenCandy infection? You will have to take precautionary measures in future to protect your computer from such infections. Avoid installing freeware without verifying their security credentials. Prefer Custom or Advanced method during software installation and uncheck anything that is not familiar. Check your computer security with an antivirus and an anti-malware program. How to remove OpenCandy Ads? Now you will learn about manual and software removal methods on how to remove OpenCandy from your computer. Perform the below given steps of your chosen method in correct order to eliminate this infection from your computer. Follow the steps to Remove OpenCandy. Uninstall OpenCandy from your control panel (Manual Steps). Remove OpenCandy from “Internet Explorer, Firefox and Chrome” (Manual Steps). Remove OpenCandy virus from “Windows Shortcuts” (Manual Steps). Remove OpenCandy malicious program from “Registry” (Manual Steps). Remove OpenCandy suspicious from “Computer Start-up” (Manual Steps). Remove OpenCandy adware using “AdwCleaner” (Free). 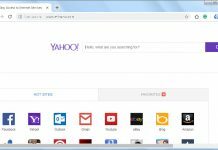 Remove OpenCandy Browser hijacker using “Junkware Removal Tool” (Free). Final Step: Scan your computer with Good Anti-malwares. Remove OpenCandy virus using “Hitman-Pro” Anti-Malware (Free). Remove OpenCandy Infection using “Malwarebytes” Anti-Malware (Free). 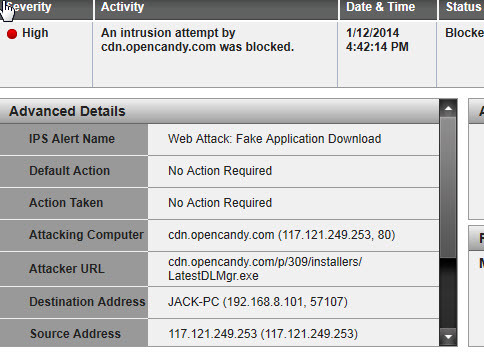 Uninstall OpenCandy browser hijacker from control panel which you have accidentally got installed recently. Uninstall recently installed unwanted & unknown programs as well. 1) Remove OpenCandy homepage from Internet Explorer. Remove OpenCandy homepage from there and set your homepage url as you want at startup. 2) Remove OpenCandy addons from Internet Explorer. In right side pane, right-click on OpenCandy extension and click on disable / remove also disable all the unwanted extensions from there. 3) Remove OpenCandy search engine from Internet Explorer. Now remove OpenCandy extension from there and also remove all the unwanted addons. If above three steps couldn’t remove OpenCandy then you have to remove it by resetting Internet Explorer. 1) Remove OpenCandy homepage from Mozilla Firefox. 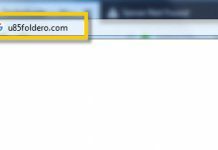 Remove OpenCandy url from home page field and set the url as you want. 2) Remove OpenCandy add-ons from Mozilla Firefox. In right side pane, select the OpenCandy extension and remove / disable it. Remove all the unwanted add-ons fromthere as well. 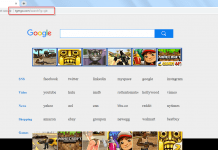 3) Remove OpenCandy search engine from Mozilla Firefox. Go to “One-Click Search Engines” section on the same page, select and remove OpenCandy from there. 1) Remove OpenCandy homepage from Google Chrome. Go to “On start-up” section of the settings page. Remove OpenCandy URL from there and add url as you want to open at startup. Remove OpenCandy extension from there. Remove OpenCandy search engine from there. STEP 3: Remove OpenCandy infection from “Windows Shortcuts” (Manually). Right click on the icon of Internet Explorer on desktop then select Properties option, you’ll get a small window, In that window, look on the target field, if you found “OpenCandy” string in this target field, please remove all the string related to OpenCandy. STEP 4: Remove OpenCandy malicious program from “Registry” (Manually). Type OpenCandy into find box, and click on Find Next button. if it found any entry with the name of OpenCandy in result, so please replace all them to Google, or you may remove them if you found suspicious. STEP 5: Remove OpenCandy suspicious entries from “Computer Start-up” (Manually). Click on Services Tab, and un-check all the OpenCandy entries. Click on Startup Tab, and un-check all the OpenCandy entries. STEP 6: Remove OpenCandy Adware registry entries using “AdwCleaner” (Free). After reboot you will be got rid of OpenCandy from your computer. STEP 7: Remove OpenCandy browser hijacker using “Junkware Removal Tool” (Free). After reboot, you’ll get removed OpenCandy from your computer completely. STEP 8: Remove OpenCandy virus using “Hitman-Pro” Anti-Malware (Free for 30days). STEP 9: Remove OpenCandy Infection using “Malwarebytes” Anti-Malware (Free).